In part IV of the Zen Open Baffle project I mentioned that I like the design process to take a long time... The more time that passes the more confidence I have in the design if it's good. And if it's bad, with enough time I'll face the facts and just put it out of it's misery. It's been a bit over 2 years since my last article and there has been some real progress towards my ultimate goal with this design. And perhaps icing on the cake... the enclosure itself has not been modified in any way since it was first constructed. It had some flaws in the frequency balance and some minor power handling issues with really low bass when played at high volumes. So did this mean the enclosure needs further tweaking... my gut feeling was no. I wouldn't find out until I was able to try a variety of drivers and see how each is effected by the cabinet. 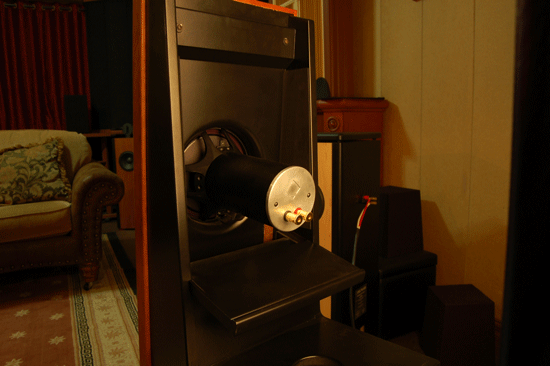 We placed the speakers on our web site as a finished product in the fall of 2010 using a shielded version of our DFR8 full range driver. 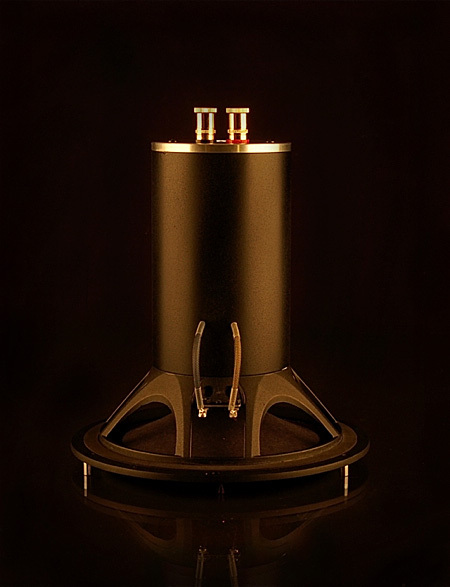 You can see in the photo below that this version of our DFR8 started out life as an FE207 Fostex unit and the reason it worked better than our normal DFR8 was because it had no shorting plug on the pole piece and a less aggressive magnet strength giving the ZOB more bass due to higher excursions. 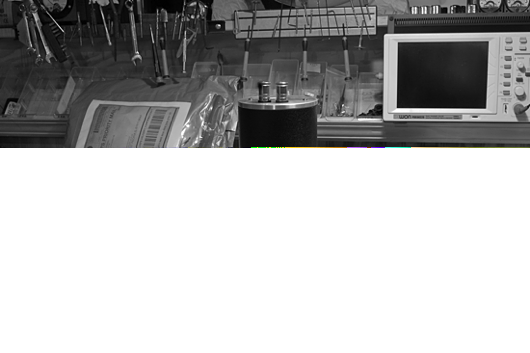 The smaller shape and size of the magnet also allowed the rear wave of the speaker to launch without obstruction which helped the imaging to further improve. The downside was a limitation in low bass control at high playback levels. This Summer the US distributor for Fostex was no longer able to get the FE207's claiming they were discontinued by the manufacturer. Well this was the perfect excuse to get serious about finding the ideal driver for the ZOB so the hunt began and several were tried. The best driver that was tested was the Tang Band W8-1808 at $200.00 ea. With a Qts: of 0.44 and an Xmax of 5 mm it lent itself well to this open baffle application. While not a deal breaker, it was only 93dB 1W/1M. Nevertheless it works rather well and sounds real nice in the ZOB if your willing to cut the opening in the front baffle larger. The next best driver was the SEAS Exotic X1 at $830 ea. With the same Qts: of 0.44 and slightly lower Xmax of 4.2mm it too works and sounds pretty good. 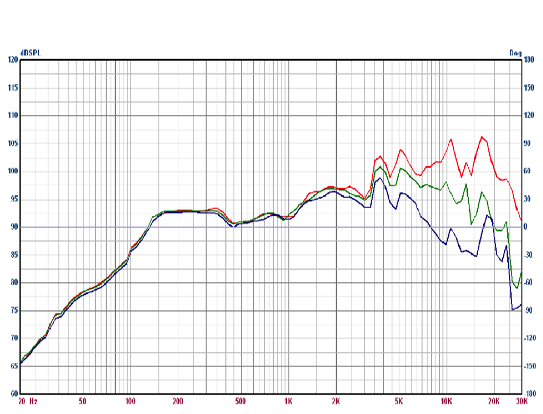 The mid-range is warmer but wasn't as fast sounding as the Tang Band. Plus at $1700 a pair it's starting to pinch the wallet a bit hard and this driver is still only 93dB 1W/1M. 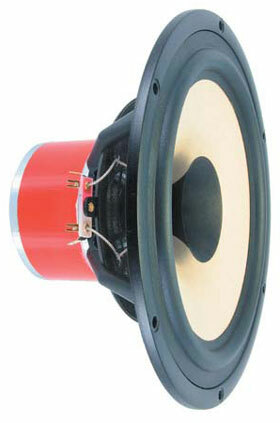 Another possibility would be the PHY 8" Wide Range driver, also designed for open baffle with a Qts: 0.59 and an unknown Xmax. The sensitivity is excellent at 98dB although we don't know if that's at 1W/1M or 2.83V/1M. Besides the price of $1200 ea. the Zmax is rather high at 155 ohms. I'd like to see that a bit lower. Obviously at this price I'm not going to try a pair without seeing the frequency response. 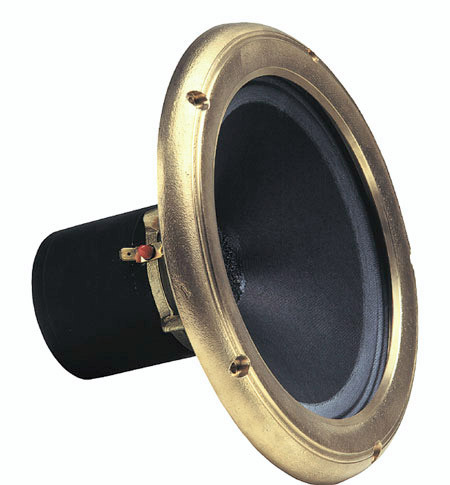 I also created a metal frame like the one used on the PHY that stands out away from the cone by nearly 1/2 inch making a purely flush mounting into a baffle virtually impossible and put it on one of my own drivers to see what would happen to the frequency response. The response was worse with the ring in place. So here are three off-the-shelf options for your ZOB cabinets if you've built them yourself from our plans. I wanted a driver with a high QTS that had close to 5mm of Xmax and an efficiency of at least 95dB or more. Preferably I'd like it not to cost $1200.00 for each driver. The Tang Band W8-1808 seems like the one to beat and it's frequency response was unusually good for a full range driver. While good, it the response was still indicative of high efficiency full range drivers as evident by the 10dB rise between 1KHz and 20kHz. This characteristic rise is something I would desperately like to not have if at all possible. Without going to a lower efficiency driver that until now is the only way I know to achieve that result. About this time Dayton came out with an inexpensive new full range driver that caught my eye for $119 ea. The published Qts was too low, but what the hell. I loved the frame because of the way it was cast to be invisible to the back wave off the cone. 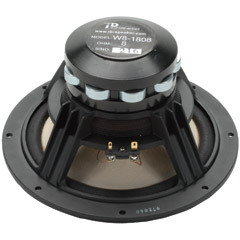 I loved the fact that it had a 1 inch voice coil instead of 1.5 or 2 inch because smaller voice coils always have better high frequency response. As I researched this driver I started liking everything about it. The neo motor assembly is more than impressive with solid copper shorting rings and a machined solid copper phase guide that's sure to stop kids from trying to push in the dust cap. The smaller whizzer cone made possible by the 1 inch neck joint also shows great promise. So I purchased a pair knowing they would fit perfectly into the existing opening of the ZOB cabinet unlike the Tang Band. My plan was use them as a donor driver and make the nessasary modifications required to get them to sound good, just like I originally did with the Fostex FE207. The two drivers couldn't have sounded MORE different if you had tried. 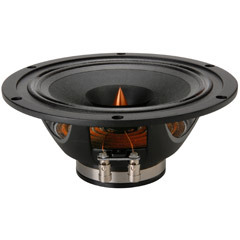 The Dayton was WAY faster with some promising bass performance that could easily have been missed due to the insane high frequency response. I didn't try to measure anything on this night, just wanted to wrap my head around the sound of this driver by listening to music and playing with things a bit. It took me hours to realize the reason the driver sounded 10dB louder than my DFR8S was because the top end was that peaked. It sounded like someone put about ten tweeters on the speaker and cranked them up so loud it begain to encourage male hair loss. 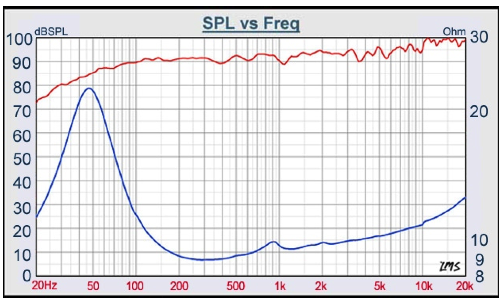 This is pretty much what I heard... the frequency response has a 15dB rise between 500Hz and 20KHz, but comes on strong hitting that peak as soon as 4KHz. I tried everything to make this driver sound right encouraged by the few things it WAS doing right. Regrettably at the end of the night after changing the complience multiple times, treating the cone and trying dozens of phase guides, I just had to give up. It was unusable for my application. After a few days of wondering what I was going to do about this problem of having the ZOB on the web site for sale and only one more pair of the original drivers in stock, I decided to use the Dayton driver as a parts donor and began work on a modified motor design. l realized there is no way to beat the tipped up responses of these drivers without killing the speed and efficiency. The very things that make me love good single driver speakers. So the work began and my good intensions were rewarded with a few ephiphonys. I've always said that our full range drivers - actually all full range drivers - have to warm up before they sound right. The first 5 minutes of playing is far from what they sound like after 20 minutes. The difference is so great that most of us have to leave the room for the first 20 minutes. I knew this because this is what I hear happen. It also makes sense that heat would change the voice coil diameter amoung other things. 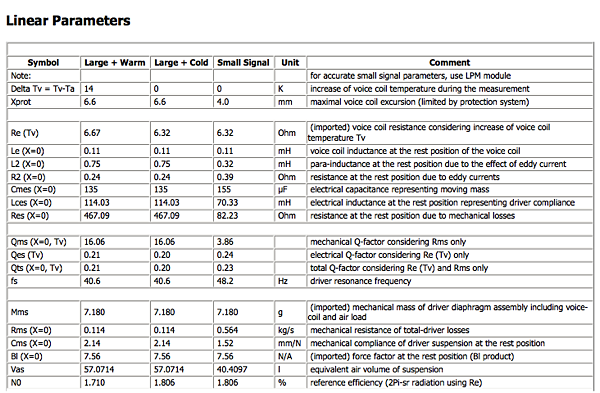 It wasn't until I started doing research on a motor for this woofer design that I stumbled upon some Klippel Non-Linear Test results that show how large and small signals effect the donor driver when it's cold vs. when it's warm. The resistance at the rest position due to mechanical losses goes up almost 600% and the inductance at rest position representing driver compliance almost doubles. All of the mechanical aspects of the driver increase. This would be indicative of all high efficiency full range drivers. I had a bit of a brain storm during the holidays after pondering these differences and realized the solution is to create a electromotively coupled reservoir in the motor assembly for some of this excess energy to go and then tune the reservoir to damp the rise in frequency response. To a brilliant engineer this might be simple, but to me it's clearly getting into the Zen Voodoo zone. During the development I have to admit I had quite a bit of fun and mystery as I worked out the kinks. I voiced the driver as close as possible to the DFR8S originally used in the ZOB. The end result required some serious machining of T6 aluminum to create the updated motor assembly that proved to be well worth the expense as it completely damps the cast speaker frame and offers a nice guide for the rear wave of the speaker. The end result (after a good break-in) far exceeded my expectations which were to simply beat the performance of the Tang Band driver. I already knew these prototypes were better by the sound I was hearing but listening to a speaker in a room is not listening to a speaker, it's listening to the room with a speaker in it. The response you hear once you're 8 feet away is FAR different and seriously screwed up compared to the sound coming off the driver at 1 foot away. So the measurements which have the ability to show the driver without the room effects can tell you a lot. I measured the new driver and was stunned to see it setting the record for best driver I've ever measured, let alone a high efficiency driver! In fact I haven't been able to find a driver over 92dB with full range response that can touch it. I named the driver FRX which stands for Full Range project X. This response is insanely good for any kind of driver and especially impressive in the world of full range point source drivers. Before we go any further, these are hand made drivers that I will be building to order as needed. You can see all the measurements and read about the new high Qts motor design on the FRX pages linked to at the bottom of this article. The measurements found there were all taken with the FRX driver installed into the ZOB cabinets showing the driver response and waterfall plot of the speakers and room decays. The ZOB cabinet never measured perfectly. It had a tendency for a dip in the 60~80Hz region and other small anomalies that proved to actually be the fault of the drivers that were previously used, not the cabinet. This was a feel good moment for me but as a result I can now drive the Zen Open Baffles by themselves at satisfying volumes and flat response down to 50Hz with usable bass left at 30Hz. You'll recall the Zen Open Baffle array - which is still viable but certainly not needed for bass correction like I thought it probably would be when this project started. I'm thrilled to say these speakers now stand on their own without augmentation from the broadcast system approach or a sub woofer. 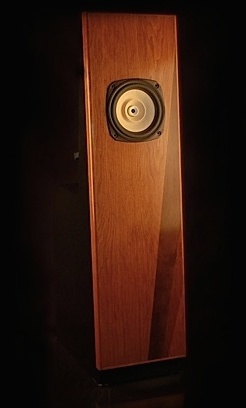 It makes listening to these speakers on the TORII MKIII a lesson in perfect bass, not to mention bass that can shake the house if it's asked to by the recording. Sooo percusive this speaker is. So now that there is real bass without any holes and you realize that's it's being created out of thin air, for free... (by the resonant chamber) it's like watching real magic happen! Personally I think it's almost a miracle that it works this well. Compared to the drywall prototype when this all started it seems to have just ignored physics and granted my wish of a full range point source open baffle in a narrow tower that disappears and images like no other. Using my direct drive Acoustat Monitors (full range electrostatics) as a reference for pretty much everything but especially speed, the ZOB with FRX driver combination is equally fast beating out everything I've done to date with moving coil loudspeaker design. So this finishes the Zen Open Baffle project on a rather high note.... now it's time to listen.